I was very moved by this film. I think all of the bravery and courage was outstanding. It was amazing to see the women from the tribe have an opportunity to share their stories the way that they remembered them. The fact that everything was shared on camera was very moving. 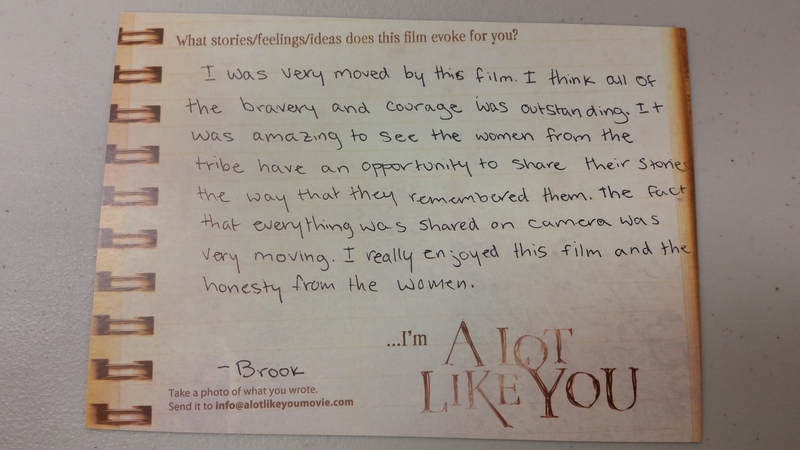 I really enjoyed this film and the honesty from the women.